Social media holds the potential to play an important role in boosting skillsets, enhancing employment prospects and supporting entrepreneurship across the Arab world, according to a survey conducted by the Dubai School of Government (DSG). The survey examined the effectiveness of social media in promoting social advancement, job creation and business growth across the Arab region. The results were announced in a policy forum held at DSG’s headquarters, under the patronage of Saqr Ghobash Saeed Ghobash, the UAE Minister of Labour. The survey comes as the result of a partnership between SAP AG and DSG. The report revealed that social media can have a dramatic impact on job creation and employment opportunities. Nearly 80 per cent of the respondents said that technology could help provide access to critical job market data. In addition to 76 per cent respondents claiming that it is beneficial in forming job-yielding partnerships and opportunities, 75 per cent saw it as a conduit for a new ‘virtual job market’. Meanwhile, 71 per cent claimed they would rely on social media to find their next job. Social media’s influence in the workplace was also seen as pervasive and positive. Here, 86 per cent noted it increased intra-agency collaboration, 85 per cent welcomed its ability to connect with customers and 85 per cent said it inspired innovation. Furthermore, 78 per cent felt that social media’s powerful connective credentials can markedly enhance trust levels among the workforce. The report also hailed social media as a critical tool for start-ups across the Arab world, with 86 per cent agreeing it contributed to business success. Among the reasons cited were its multifaceted marketing potential (90 per cent), a capacity to tap into wider markets (86 per cent), substantial customer engagement options (85 per cent) and its overall potential to raise awareness and instill entrepreneurial mindsets (84 per cent). 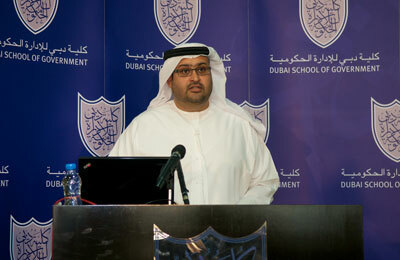 DSG’s report has highlighted that social media is viewed as a facilitator of significant educational advantages. While 84 percent respondents said students would benefit from utilising social media in developing entrepreneurial skills, 76 affirmed they use social media and ICT tools to acquire such business abilities. The primary drawbacks and negative connotations attributed to social media use in business largely center on concerns regarding the regulatory environment. People and businesses do not feel protected in the absence of appropriate laws regarding intellectual property, privacy and copyright, according to the report. Looking ahead, 81 per cent of respondents agreed that national policies and guidelines would help facilitate better use of social media at work, and inspire entrepreneurial opportunities. The survey participants additionally called for educational reform to integrate such technologies in the classroom. In addition to providing unprecedented insight into regional social media trends, results from the DSG study will form a key part of an ongoing feasibility study by SAP Mena for creating a cutting-edge, project-enabling ICT platform to boost sustainable job creation across the region. The platform will improve leadership decisions related to job creation by aggregating, processing and presenting ‘big data’ using social media and established SAP solutions such as the SAP e-Recruiting application, SAP enterprise learning environment, SAP learning solution, and the SAP CRM rapid-deployment solution for citizen contact centers.